Self-Stick Easel Backs are attractive, sturdy, and easy to use. 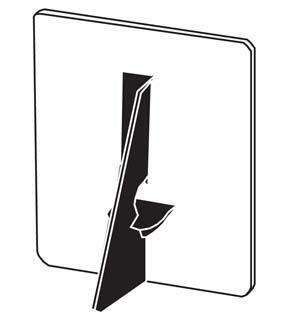 Simply peel and stick for professional looking signs and displays. Also a great way to temporarily display your favorite photographs. A convenient, easy to use display easel that adheres to the back of your display board. Folds flat for easy storage. Made of strong 30 point board, with a self-stick strip for easy attachment. Sturdy and attractive, no messy glue, simply remove protective paper from the permanent adhesive strip and apply. Adheres to any coated or uncoated surface. 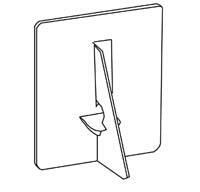 LINECO Single Wing Cardboard Easel Backs - Bulk Packs!